This entry was posted in Books, Top 10 and tagged beach, books, classics, top 10, YA. Bookmark the permalink. I can’t believe there is a book adaptation of the Lizzie Bennet Diaries coming out! I am so excited now! I clearly need it for my bag! I read The Statistical Probability of Love at First Sight over our Christmas season travels and it is an excellent light contemporary read that would travel well! I haven’t read Rebecca, but based on your description and my shared perspective in beach reads, I kind of want to check it out. 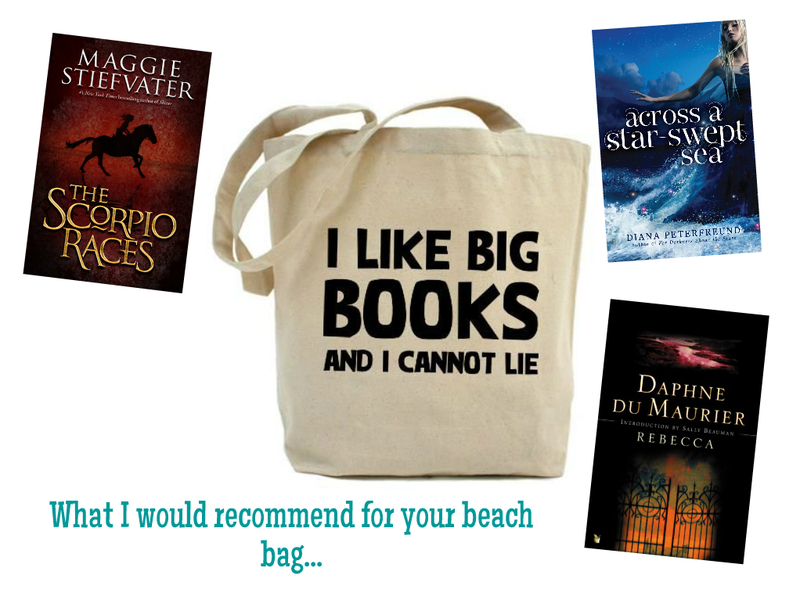 I had fun looking for beach bags for this! And yes I know, a Lizzie Bennet book! Definitely gotta have that! And Rebecca is very interesting! It is a cute phrase! 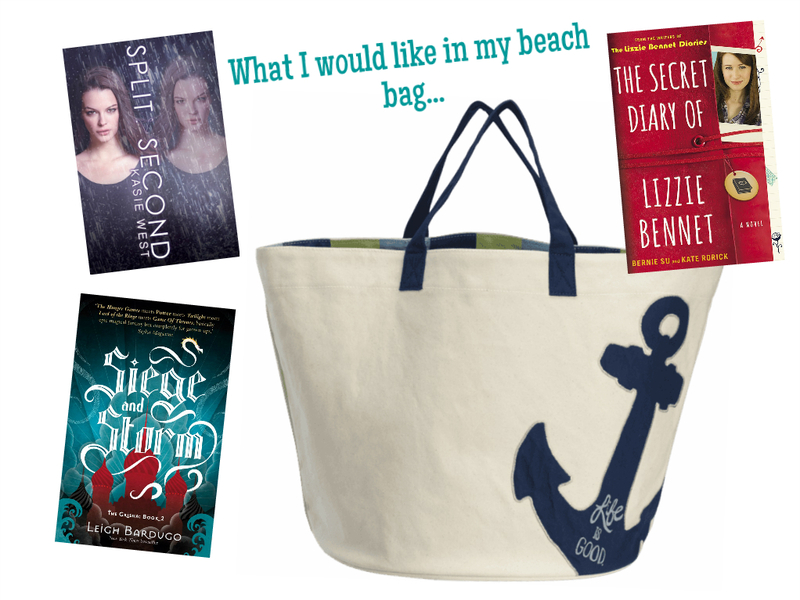 Oooh I forgot about Across a Star-Swept Sea for my Summer Beach Bag TTT! 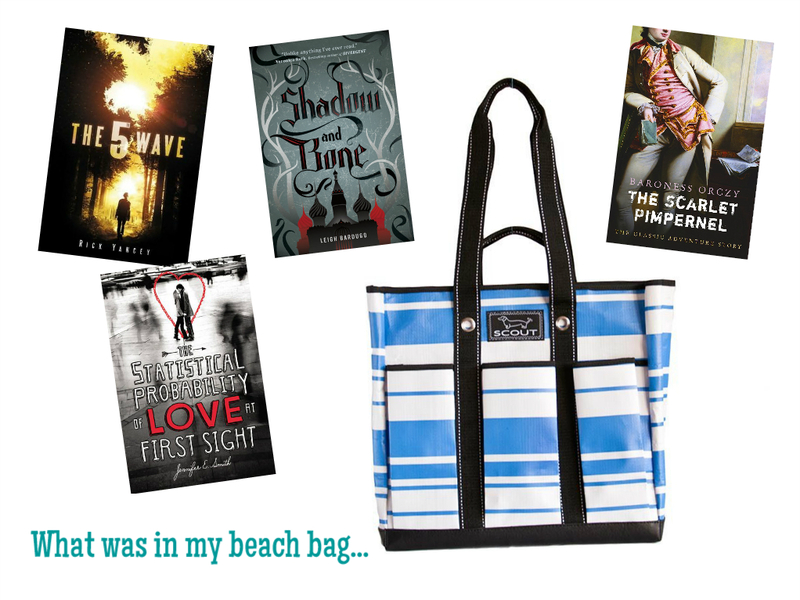 It’s on my TBR list, and definitely seems like a good beachy read. And The Scorpio Races was so good!!! I loved the mystical nature of it and the mystery of the sea horses and where they came from. AaSSS is action-packed, romantic, and set in a tropical setting! Pretty perfect for a beach read in my opinion! Sounds it!!! Looks like I am going to go sit by the lake with a book ASAP. Rebecca is amazing-hope you enjoy it! I read it back in high school; I was just recommending it to others! I do need to re-read it though! Awesome picks! The 5th Wave is one of my favorite books. I am super excited for the sequel! It was really good! I’m really looking forward to the sequel too! Living in a landlocked state myself, I feel your pain. It’s more painful for me because I used to live in a ocean-bordering state. Hopefully I get to see the ocean this year…and I hope you get to again before the end of the season! Well me going to the beach again this year is highly unlikely, but who knows, sometimes crazy things happen! I’ve never lived in a state bordering the ocean, but I used to live in Texas close to Galveston, and while the beach there is nasty, I liked being near the water. You definitely need to read The Scarlet Pimpernel if it’s standing between you and Across a Star-Swept Sea! TSP is great, and AaSSS is amazing! Shadow and Bone was a very pleasant surprise for me! The Scorpio Races starts a little slow, but it’s interesting! Hope you enjoy both! I think reading the whole trilogy on the beach probably would be great! I hope to/plan to read books 2 and 3 back to back. I read both of those when I went to the beach and really enjoyed them! I already reviewed The 5th Wave and my review of Shadow and Bone is about to go up! I’m really looking forward to reading Siege and Storm!